But there’s a lot that goes into this deceptively straightforward system, as you may find out if one of your many garage door parts runs into a hiccup. The first key to performing a good diagnostic is knowing what the different parts of a garage door are, before moving on to troubleshooting. To that end, we’ve compiled a guide to the different parts of a garage door to help you familiarize yourself with the various components that make it so convenient to get in and out of your garage. Don’t worry - it’s not as tricky as it seems. 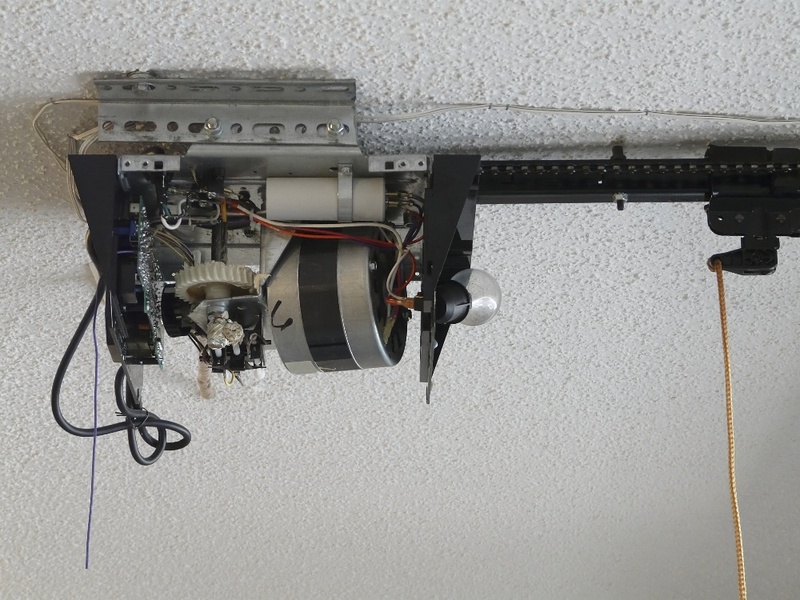 A lot of the brains and brawn behind your garage door opener lie in the motor unit, and appropriately, it’s the most dynamic system in your garage. The motor unit receives the signal to open or close the garage, drives the door up or down, and communicates with the sensors to ensure that it’s safe to operate. There are settings on the motor that allow you to adjust the force and distance with which your door opens, and it can also communicate with you by way of blinking lights to let you know if there’s an obstruction in the way of your garage door. While there are lots of parts to the motor unit, a few of them are especially important to know, as they’re commonly the source of any issues. They are the logic board, capacitor, and gears. The logic board is the brains of the operation, and tells the different elements of your garage door opener what to do. Just like other computerized boards you may be familiar with, the logic board is green and has lots of wire connections soldered to it. Occasionally, one of these connections may need to be re-soldered to get that communication running smoothly again. The capacitor is a white cylinder that operates something like a battery, except that it boosts and regulates the power needed to get your garage door up or down. Like a battery, your capacitor can occasionally burn out and need to be replaced. The gears are located inside your garage door motor unit, and connect to a sprocket sticking out from the top, that turns the chain which powers your garage door. If the gears eventually wear down, it can cause your garage door not to operate as smoothly, or to stop altogether. The gears and sprocket are sold as a single system, and can be swapped out if need be. You may already be familiar with your keypad and remote because you probably use them on a daily basis. But there are a few things to bear in mind if they’re not working as you want them to. Both are battery operated – even the keypad, though it’s connected to the wall. And both need to be programmed – and occasionally reprogrammed – in order to perform correctly. Programming instructions are available in the owner’s manual. Because the remote operates by way of a signal, there can sometimes be difficulties with the signal getting through to the motor unit for a variety of reasons. Don’t worry - we address that issue in our troubleshooting post, here. The safety sensors make sure that there’s nothing obstructing your garage door from closing – this is an essential safety feature that can stop kids or pets from getting caught underneath a closing garage door. 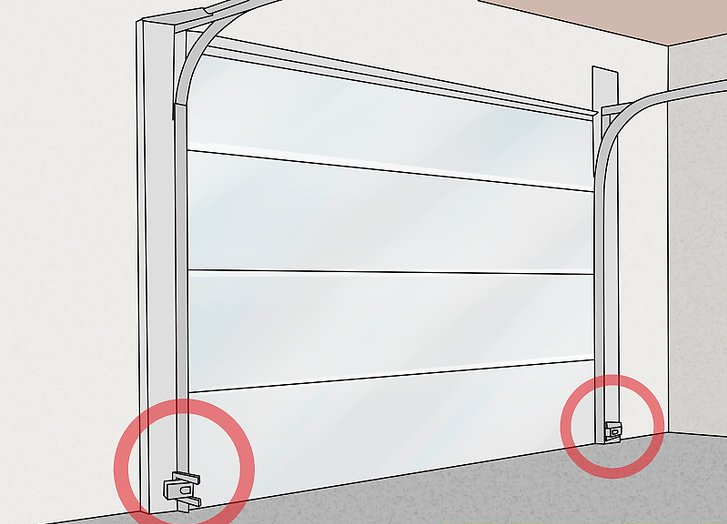 The sensors are located on either side of the garage door a little bit above the ground, and come in two parts – one beams out a signal, and the other receives it. If something gets in the way of the signal, the sensors will tell your garage door that it’s not safe to close. But sometimes the signal will get interrupted, or the sensors may not be properly aligned, causing a signal failure. This can usually be remedied by a few simple troubleshooting steps. Your garage door is pretty heavy – usually somewhere around 100 lbs – and in order to prolong the life of the motor and chain system, they get a good bit of help from the springs. There are two main kinds of garage door springs used in residential garage door openers: torsion springs and extension springs. Both perform a similar task – coiling up and retaining potential energy that’s released when the garage door opens. And they’re both located on top of your garage door, albeit in different places. You can find torsion springs positioned front and center above the inside of your closed garage door, while extension springs are located above the tracks on either side of the door. Like any springs, over time, torsion or extension springs can loosen or snap – but this usually only happens after thousands of opening and closing cycles, and most springs will last a number of years. The garage door itself runs along tracks placed on either side of it, to help keep its movement smooth, steady, and quiet. To make things even easier, there are wheels – known as bearings – that run along the inside of the tracks. Whether you are having garage door issues or just want a recommended periodic garage door inspection, a certified Puls technician can make it super easy to get your diagnostic done, so you can focus on getting in or out of your garage, rather than fixing it. Book a 25-point inspection during the time slot of your choice, and a Puls technician can be at your home on the same day. In addition, the $39 inspection fee is about half of what many competitors charge – and we’ll waive this inspection fee completely if you go ahead with a repair through Puls. All of our parts and labor come backed by a 90-day guarantee, so if something goes wrong, we’ll come back and fix it, absolutely free. So what are you waiting for? Your garage door diagnostic won’t get any easier than this. Schedule a garage door inspection with Puls today - you’ll be glad you did.